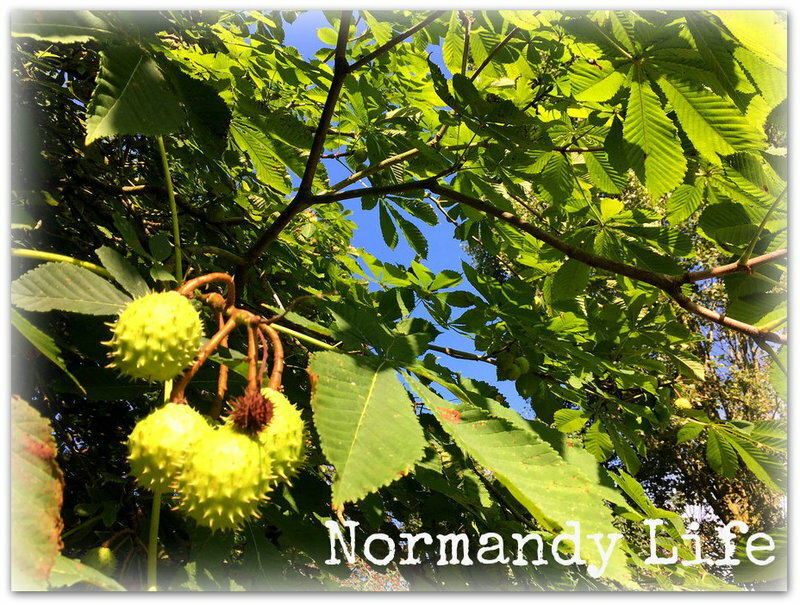 Normandy Life: Mosaic Monday # 19. A seasonal treat (or two?). Ooh, wonderful glimpses of the pages from Compagne Decoration. Once in awhile I find issues of the magazine in a downtown bookstore and pick them up - a really lovely publication. I did a little decorating this afternoon and hope to post during the week. It's fun to see what everyone else is doing these days. I know my husband would enjoy your mince pies! Oh my everything in that wonderful Magazine looks so perfect. This looks like a beautiful magazine, Maggie! I would buy it for the beautiful decorative ideas. 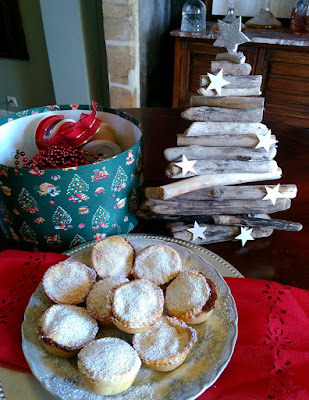 Your mince pies look delicious! I make cookies using mincemeat --they are among our favorites! What a great magazine! I've been adding festive touches here. I love the process of getting the house ready for the holidays. Then I'll start baking and getting together with friends to enjoy each other's homes dressed for the holidays. Merry, Merry to you and the Senior Partner. I'm am loving the look of this magazine. But then I love all things French. I don't think I can purchase this magazine over here. What a pitty! I am really pushing for us to visit again. Have a fabulous week and thank you for the link up. I still haven't done any Christmas cooking, but we have mailed are cards today. What a pretty magazine. Mince pie -- my Mother-in-love loved mince pie. Thanks for hosting and Happy Monday! There is so much creativity and prettiness on display during the holidays. What a nice magazine--amazing how quirky ideas pass through such magazines. Have a good week ahead and thanks for hosting. You already know this is my favorite magazine Maggie - but a special edition would be such a wonderful addition to my pile of older issues - I can never get rid of them! As I've just not had time to join in MM this year I know you will not add my name to the draw, however I should be able to start submitting mosaics come 2017 when I hope to have more time at home! I'll look forward to that. Perhaps I can find a copy of this special edition when home in a couple of weeks - I'll look in WH Smith! 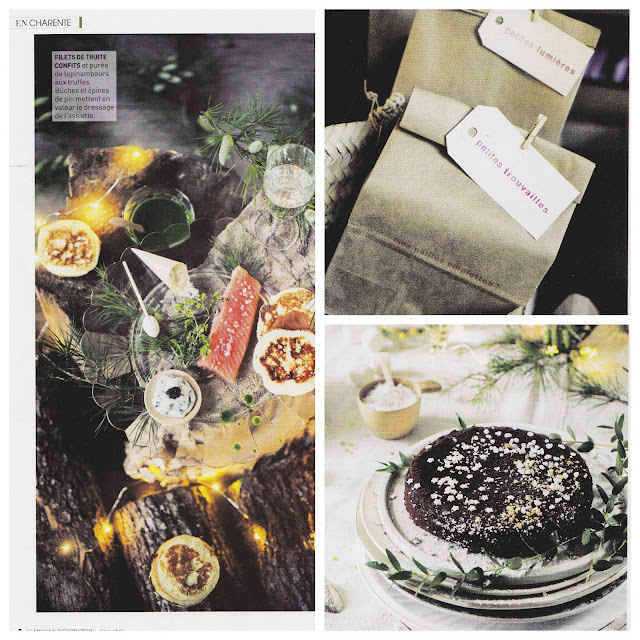 Beautiful pictures from that magazine to get us into the Holiday mode ....and the mini-mince pies are adorable and make my mouth water. In case I am not organized enough by next week to enter, I will wish you a beautiful Christmas and Holiday season now along with thanking you. (we fly across country tonight to our winter home in Florida). Just another comment about your comment on my blog. The Swan stay here all winter usually flying north in March. So we get to enjoy them for several months. Hi Maggie, I'm coming in a little late this week. The magazine looks very nice. The mince pies look delicious and I love that twig Christmas tree. Good idea to take an MM break until the New Year! Thank you so much for hosting. Hello Maggie! 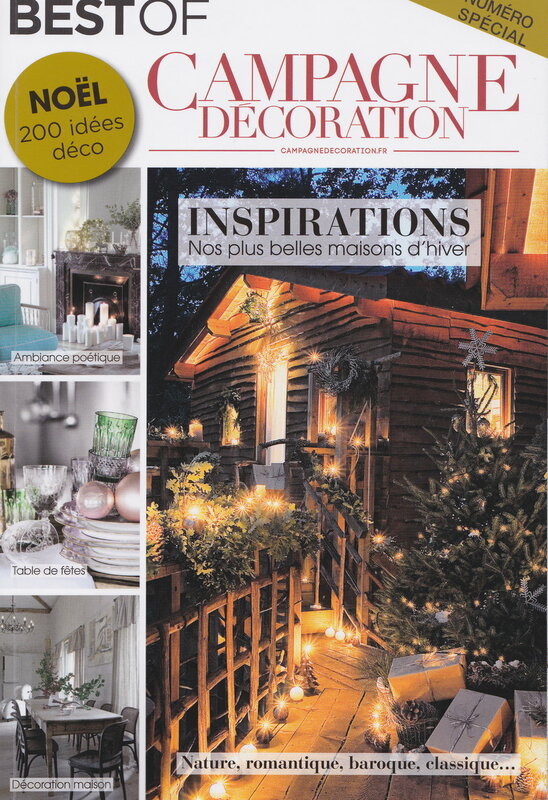 It must be a pretty magazine with so nice winter decorations as ideas! The mince pie looks delicious and so well related with this festive time when we can enjoy something tasty and warm! Have a very lovely time for Winter Holidays and, also, filled with good cheer! I wish you Maggie a peaceful Holiday Season / Merry Christmas! See you next year! Oh, pick me, pick me! 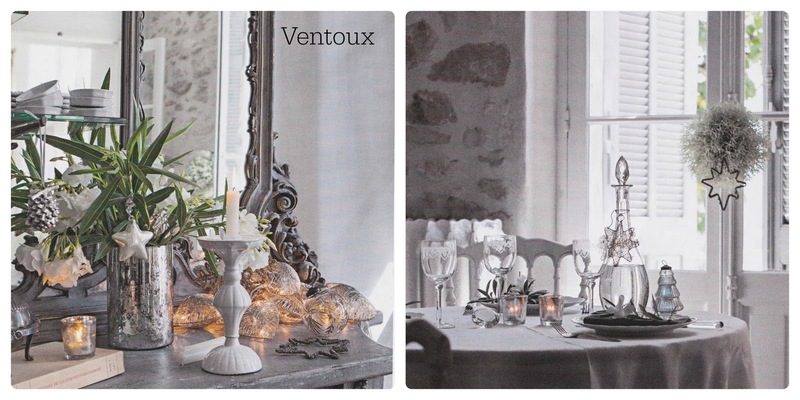 Could anyone want more to see Christmas in France as through a French magazine? Truly, the photos you show are just fabulous and it makes me wish that it was easier to obtain here! Thanks for offering the giveaway! Hi Maggie, I missed joining in on Monday. My blog was removed from my use because I didn't notice my yearly $10.00 had not been paid (my MC card had been 'updated' but not on Blogger by me). I spent the last 3 days trying to figure out HOW to pay that amount Figured it out today, Blogger has way to get to one's Admin account but I only learned that when one of the emails I sent out to one of the three emails that were sent to me by Google (which I had not read) phoned me (I had given my phone # in the email). Whew. Scared me almost silly. Problem solved, my blog is back in my care this afternoon and I will be joining you at Mosaic Monday next week. Really great magazine! nice designs and patterns!